Established in 1976, Corona Coatings is Montclair's trusted choice for comprehensive residential and commercial polyurethane spray foam roofing, foam wall insulation, foam tank coating, and foam roof inspection, maintenance, and certification services. Over the years, our skilled technicians have performed thousands of commercial and residential spray foam installation projects throughout our Inland Empire service area, and a large part of our new business is due to customer referrals, because the homeowners, business owners, and construction industry professionals we serve have been so pleased with our superior workmanship and excellent customer service that they have referred our services to their business associates, family members, neighbors, and friends. Corona Coatings Corp. is an authorized contractor for both the Henry Company and NCFI Polyurethanes, and proudly features their high performance line of spray polyurethane foam (SPF) products. And because customer satisfaction is extremely important to us, our knowledgeable spray foam installation technicians work closely with our valued Montclair residential and commercial clients, to ensure that every aspect of their spray foam installation project is performed to their exact specifications. At Corona Coatings Corp., our experienced installation technicians are required to undergo continuous training in the spray foam roofing and insulation systems we apply, and each have 12 to 14 years of experience working in the spray polyurethane foam roofing and insulation industry. At Corona Coatings, we are proud members of the Better Business Bureau (BBB) and the Spray Polyurethane Foam Alliance (SPFA), and we hold both a C-39 Roofing Contractor's license as well as a C-2 Insulation Contractor's license. We offer free onsite estimates on all Montclair roofing and insulation projects, and accept all major credit cards. Join our thousands of satisfied customers throughout the Inland Empire. Call us today. Corona Coatings is Montclair's first choice for residential and commercial storage tank insulation. Polyurethane spray foam insulation possesses a long track record of proven performance as a highly effective storage tank insulation material. At Corona Coatings, we have applied our spray polyurethane foam insulation to water tanks, grease tanks, chemical tanks, solar tanks, and have even insulated the wine tanks at local Inland Empire wineries. Our foam insulation enables these storage tanks to maintain an even temperature, reducing energy costs for our clients. Moreover, spray foam insulation also provides other benefits: It increases the structural integrity of storage tanks, and protects the surfaces of metal storage tanks from the development of rust and corrosion, prolonging their life spans. Corona Coatings Corp. is the spray foam contractor Montclair homeowners, business owners, and construction industry professionals trust most, and we have supplied these valued clients with our energy-saving polyurethane foam roofing, wall insulation, and storage tank coating products for over 35 years. Unlike conventional fiberglass and cellulose insulation, and traditional asphalt-based roofing systems, which are characterized by gaps, seams, and puncture points created by mechanical fasteners, spray foam wall insulation and roofing systems form an uninterrupted barrier, and require no mechanical fasteners. Moreover, unlike traditional insulation and roofing systems, they form a tight seal around all wall and roof penetrations, blocking airflow into and out of the structure at these crucial juncture points. In addition, homes and businesses who install foam roofing and insulation products are often eligible for valuable energy rebates, because of the energy savings realized by the installation of these systems. 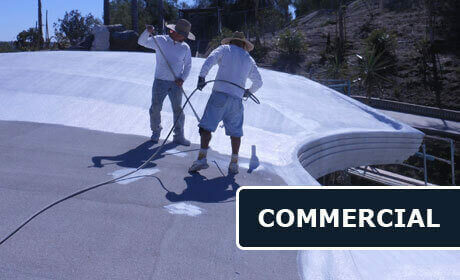 Corona Coatings is Montclair's most respected foam roofing contractor. 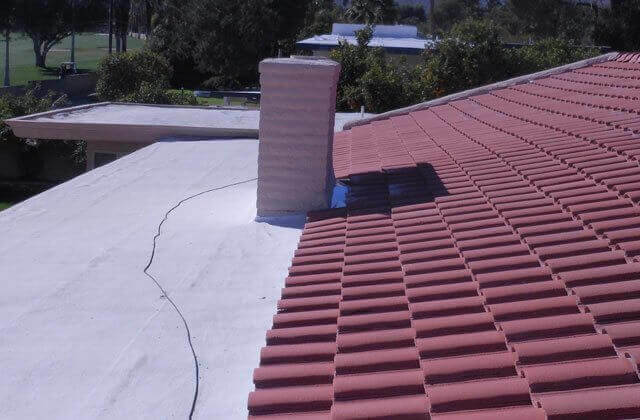 At Corona Coatings, we can install our durable, lightweight spray foam roofing systems directly over your existing roof, precluding the need for expensive tear-off and haul-away services to be performed. 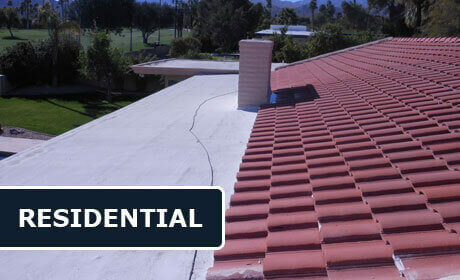 At Corona Coatings, we also offer an affordable, annual routine foam roof maintenance service to Montclair. While foam roofing systems tend to be problem free, they do require periodic "checkups" to ensure proper function. During our maintenance service, we carefully clean the roof of all debris, and then thoroughly inspect the roof membrane. Then we provide a written proposal describing any recommended roof repairs. At Corona Coatings, we also offer Montclair free on-site foam roofing system inspections, during which our qualified foam roofing professionals will carefully evaluate the condition of your residential or commercial foam roofing system and recommend repairs as needed to keep your foam roof functioning exceptionally. At Corona Coatings Corp., our knowledgeable roofing professionals will only recommend the most cost-effective, essential repairs necessary to prolong the lifespan and functionality of your spray foam roofing system. In addition, all of our repairs can be custom color-matched to seamlessly blend with any existing polyurethane foam roof color. 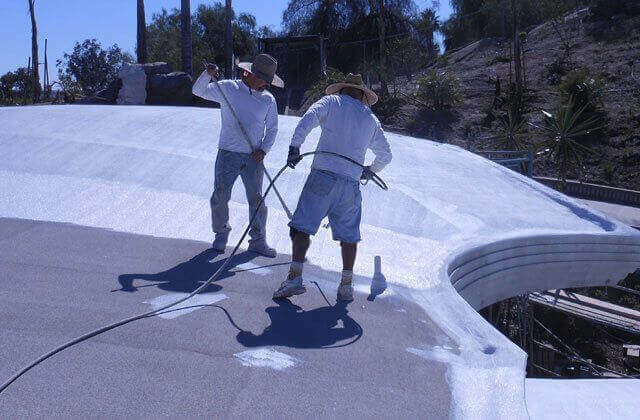 At Corona Coatings Corp., we also perform official foam roofing system certifications, required by real estate law on all commercial and residential properties possessing a foam roofing system prior to sale. Corona Coatings also installs spray polyurethane wall insulation for Montclair homeowners, business owners, and construction industry professionals. Unlike fiberglass batt and cellulose insulation, spray polyurethane foam wall insulation has the ability to conform tightly to every angle and structure within the wall cavity, eliminating gaps around electrical outlets and conduits, and forming a tight seal around pipes and other through-the-wall plumbing penetrations. Foam insulation forms a virtually uninterrupted environmental envelope throughout the walls of a structure, providing a highly efficient barrier against airflow through the walls, and preventing the inflow of outdoor dust, pollen, and other airborne pollutants. Moreover, the installation of spray foam insulation in new construction or the retrofitting of existing construction with spray foam insulation may make the property's owner eligible for tax credits, rebates, and other financial incentives. Call the foam roofing and insulation professionals at Corona Coatings. Find out why spray polyurethane foam roofing and wall insulation systems are simply the most energy efficient insulation systems available today. We offer free onsite consultations and estimates to Montclair. Corona Coatings is licensed, bonded, and insured.